The killing of a senior policeman in Hela Province last Thursday has Provincial Administrator William Bando and Tari Pori MP James Marape calling for police back up in the province to assist in maintaining law and order in the province. The slain officer Sergeant Philip Hewali was the officer in charge of Highway Patrol at the time of his death. It is believed he was driving through Tigibi village in Komo-Margarima District when he came across a road block. In the company of another officer, he got off the vehicle to remove the road block made of branches and stones when armed men came out of the surrounding bushes. The accompanying officer has confirmed that Sgt Hewali was shot at close range when he refused to surrender his firearm. 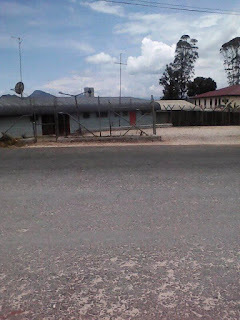 While confirming the killing, Mr Marape has appealed to the tribal warriors living along the corridors of the public roads to respect the traveling public including the few public servants and police personnel who choose to remain and serve Hela, despite hard working conditions in Hela Province. Sgt Hewali was from Buli Village, South Koroba, and was well respected by the people before his death.